Following a slight reading slump, which coincided with my final deadline before the end of term, this evening I finished my nineteenth book of 2015, “The Princess Diaries” by Meg Cabot (#36, a book set in high school, in the 2015 Reading Challenge). Since this month I have read some pretty heavy books, it was about time I flew through a contemporary, and that’s just what I found re-reading (for the first time in over 10 years) “The Princess Diaries”. It was watching the movie again this week (and my childhood favourites blog post) that prompted this read, and it was great. “Since I recently re-watched Disney’s motion picture, ‘The Princess Diaries’, which I absolutely love, I figured I would read the inspiration behind it. 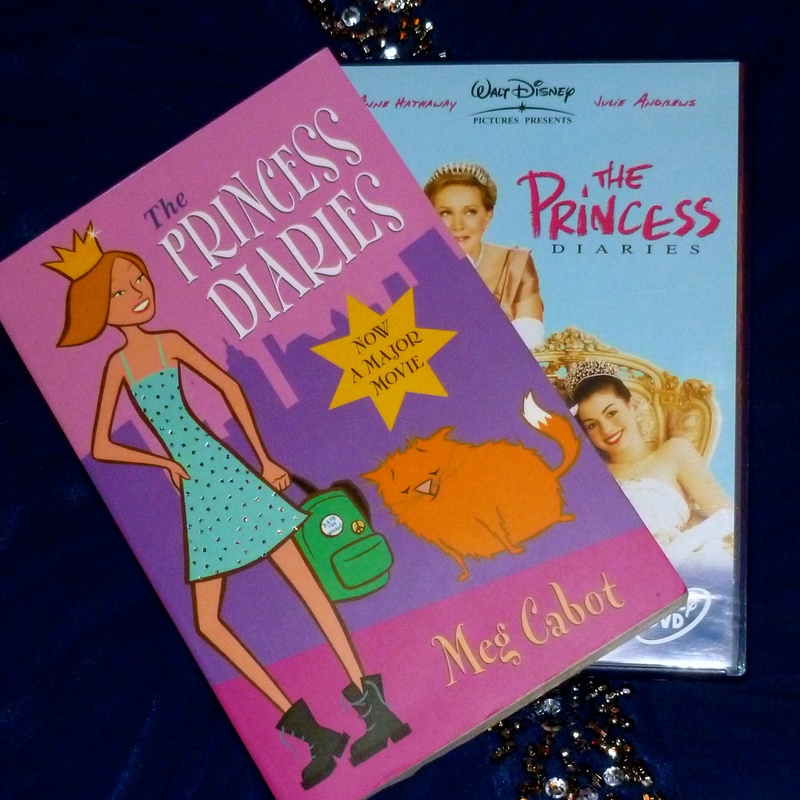 ‘The Princess Diaries’ by Meg Cabot encompasses approximately the first half of the movie, from finding out Mia is a princess, falling out with her best friend Lilly, to her date with Josh – the storyline was remarkably similar between book and film, with the exception that Mia’s father is very much alive in the book, it’s set in New York, not San Francisco, and her grandmother is not as awesome as Julie Andrews. As the title would suggest, the book takes the form of Mia’s diary, over the three weeks all aforementioned events take place – and believe me, a lot happens in three weeks! Book Mia is not as socially awkward as film Mia, but she is still pretty much an invisible loner. Whilst I still maintain that the Disney adaptation is better than the book, in some ways this is an unfair comparison, since the film uses more than just the first book for its story. Judging the book alone, it had a satisfying conclusion, and was quirky and fun. Back to the movie, I can’t neglect to mention the amazing songs the film features. The music is simply perfection! I will certainly be continuing with the series, but not before I watch ‘Royal Engagement’ again! I can’t contain my excitement for mattress surfing.